If you found out you only had a few months to live, what changes would you make in your life? Jonathan Morgan has just been handed a death sentence in the form of a tumor. As he reflects on his life, he realizes that he’s been extremely lonely for way too long. Fate has him meeting Nino Herc, and an impulsive decision has Jonathan hiring Nico to cook for him as he takes an extended vacation. Jonathan was regimented in his life as a lawyer and in his every movement. This was the complete opposite of the free-spirited Nino who treasures every moment and embraces life. I enjoyed watching these two spend time together while becoming friends and then lovers. Nino did a wonderful job helping Jonathan learn how to enjoy life once again and appreciate the little things. It was nice to see how they took care of each other in their own way. There was plenty of dialogue and the relationship was realistic. The only thing that bothered me about this story was the lack of contractions which made the dialogue seem stilted. The biggest threat to their relationship was Jonathan’s decision not to share his current health condition. Jonathan was given a second chance with his life, and it was delightful to see him make the most of it. After being diagnosed with a brain tumor, Jonathan looks back on his career-focused life and sees nothing but empty years behind him. His desire for success has left him without a single happy memory, and completely alone. While shocked by the news, he stumbles into Nino: a man without a steady job, without a permanent home and, as happy as a person can be. On the spur of the moment they set off to an adventure by the sea, with good food, loads of sun, and rising attraction. Only both hide secrets from each other as they fight against the sparks that keep on lighting the flames. 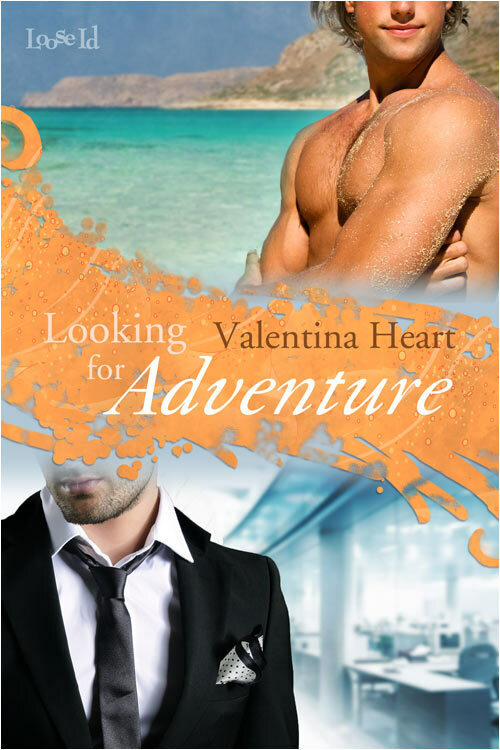 They set out for some fun, but found the adventure of both of their lives. Sounds really good! considering adding it.